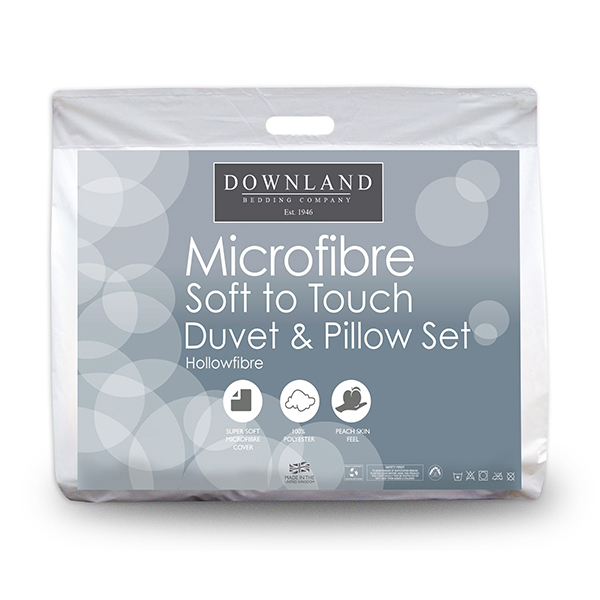 Luxurious and comfortable, the Downland Complete Microfibre Bed Set offers a fibre alternative to natural down. Microfibre is a revolutionary light and fine polyester fibre which is air-blown into the duvet's outer casing for a better 'loft' and softness. This is designed to emulate the characteristics and feel of a duck-and-goose-down duvet. The soft microfibre provides comfort and warmth whilst you sleep.